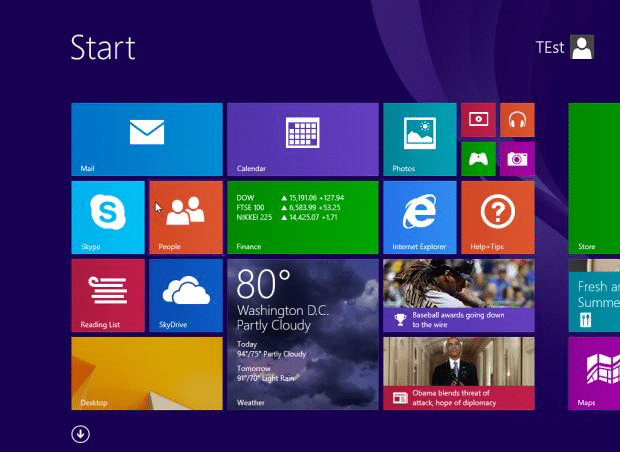 Upgrading from Windows 8.1 Preview to Windows 8.1 RTM isn’t as hard as you might think. In fact, it’s fairly simple. Windows 8.1 Preview users who have an ISO copy of Windows 8.1 RTM can easily upgrade to Windows 8.1 RTM without having to create a bootable media. In this guide we are going to walk you through the steps that you need to follow in order to successfully upgrade Windows 8.1 Preview installation to Windows 8.1 RTM. Please note that when you upgrade Windows 8.1 Preview to RTM, you’ll be able to keep everything except installed apps. In other words, the upgrade process will only migrate personal data on your Windows 8.1 Preview machine, and third-party desktop applications as well as apps installed from the Store will need to be reinstalled after completing the upgrade. Those of you who would like to upgrade Windows 8.1 Preview to Windows 8.1 RTM without losing installed apps and desktop programs can follow the workaround mentioned in our how to upgrade Windows 8.1 Preview to RTM without losing apps guide. However, in this guide, we are going to show to how to upgrade Windows 8.1 Preview to RTM without that workaround. NOTE: It’s advisable to create a backup of all files before continuing further, just to be on the safer side. Step 1: Make sure that you have at least 10 GB of free space on the drive where you have installed Windows 8.1 Preview. 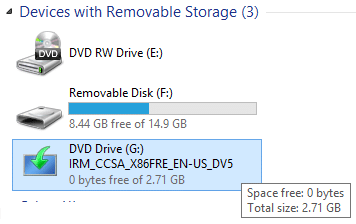 You can check the available free space by right-clicking on the drive and then clicking Properties. 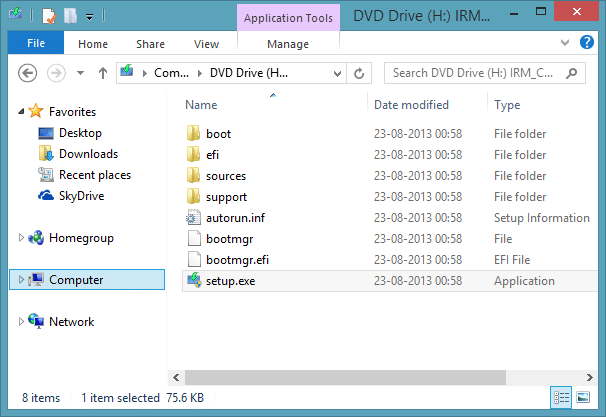 Step 2: Navigate to the location where you have saved Windows 8.1 RTM ISO file. Right-click on the ISO file and then click Mount option to mount the ISO file. Note that you can’t upgrade from x86 version of Windows 8.1 Preview to x64 version of Windows 8.1 RTM without performing a clean installation. That is, if your Windows 8.1 Preview installation is 32-bit, you must download and use 32-bit Windows 8.1 RTM ISO file only. 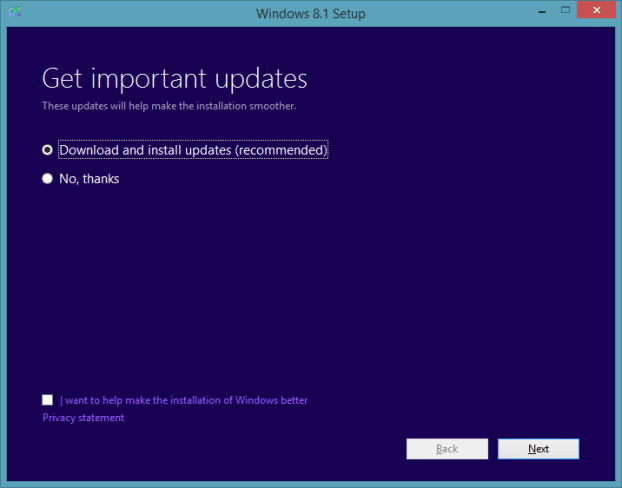 Likewise, you need to download and use 64-bit ISO file in order to upgrade Windows 8.1 Preview 64-bit to x64 RTM. Step 3: Upon clicking the Mount option, File Explorer should show you all files of the ISO file. 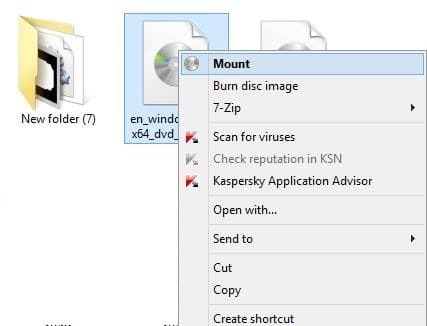 If you can’t see the setup file or any other files of ISO, open up This Computer (Computer or My Computer) and then double-click on the virtual drive (mounted drive) to see all files, including the Setup.exe file. Step 4: Double-click on the Setup.exe file to launch the installer. 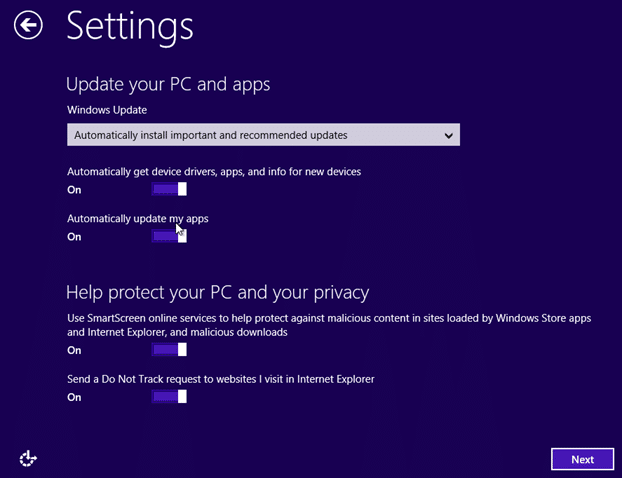 Select either Download and install updates (recommended) option if you would like to connect to Microsoft servers to check for any available updates before continuing further, or select No, thanks option if you want to proceed without checking for updates. Note that the following screen won’t appear if your PC isn’t connected to the internet. Select an option and click Next button. Step 5: Enter the 25-character in the box and then click Next button to continue. Note that you must have a valid 25-character key to continue. Step 6: In the following screen, check the option titled I accept the license terms before clicking the Accept button. Select the first option (Keep personal files only) if you want to migrate your documents, pictures, and other files to Windows 8.1 RTM. Select the second option (Nothing) if you want to keep nothing. As we mentioned earlier, it’s not possible to migrate installed apps from Preview to RTM without following the workaround mentioned in our how to migrate all installed apps from Windows 8.1 Preview to RTM guide. 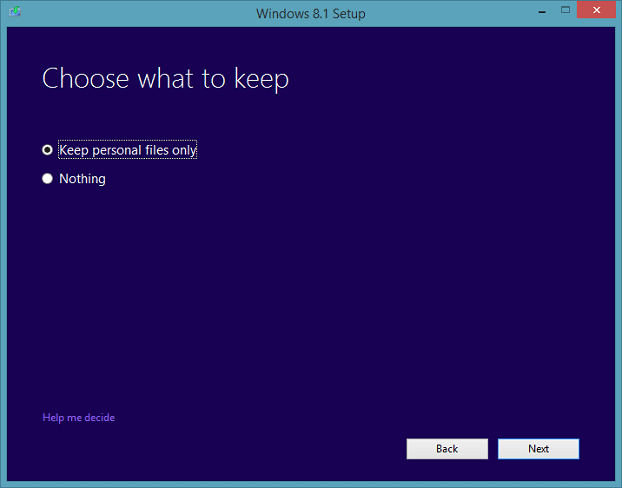 Step 8: Select an option and click Next button to check if your Windows 8.1 drive has sufficient free space to continue installing Windows 8.1. 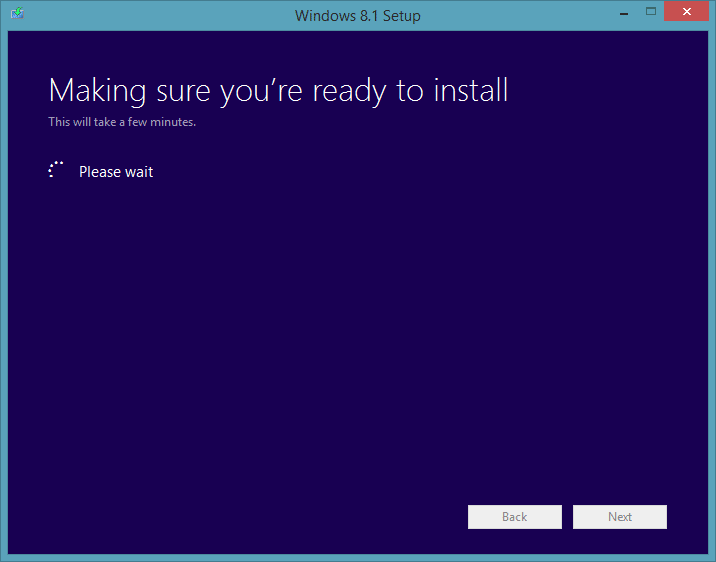 Step 9: Finally, click the Install button to begin upgrading your Windows 8.1 Preview installation to RTM. Your PC might be rebooted twice or thrice before completing the installation. Step 10: Once setup completes its business, you’ll see the personalization screen where you can pick a color combination for your Start screen background and charms. 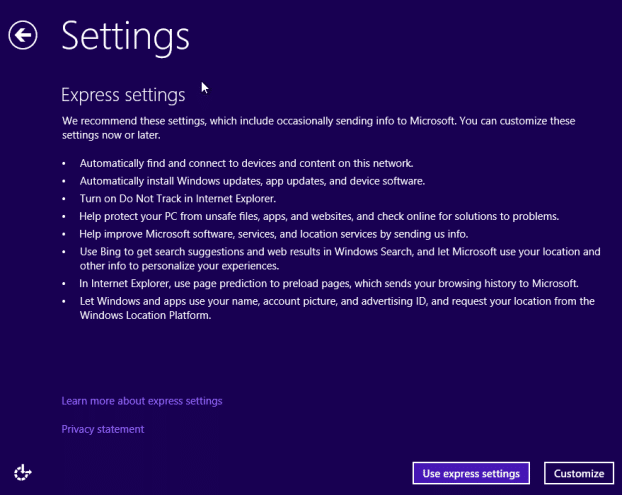 Step 11: Next is the Settings screen where you need click either Use express settings or Customize button. Click Use Express settings button if you would like to go with recommended settings. 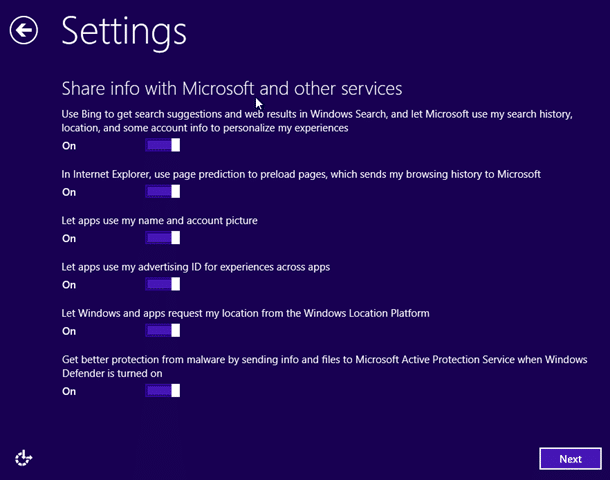 Else, click Customize button to start customizing network, Windows update, device driver update, privacy and location settings. Step 12: Finally, sign-in to your Microsoft account and wait for a couple of minutes to see Windows 8.1 Start screen. That’s it! Once upgraded, you might want to configure Windows 8.1 RTM to boot directly to desktop. Aww… well the key didn’t post (or was removed after I posted). There are generic keys floating around that won’t activate. Use Google and that’s what you need to finish the steps. Ultimately you will need a Windows 8.1 key to process through and once you are in you can switch over to your regular Windows 8 key to complete the process. I got it taken care of. 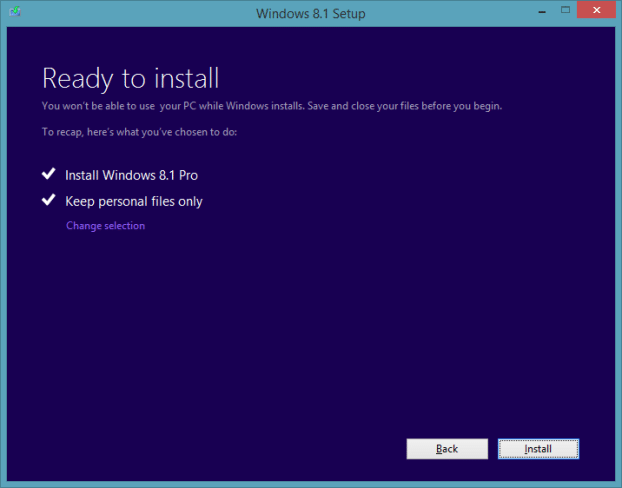 (upgrading Windows 8 Pro RTM to Windows 8.1 Pro RTM). Do this. 1) Backup, backup, backup. Have a backup plan just in case something goes wrong. 2) Start the install. You can mount the iso and start it from that. Note: This will NOT activate. 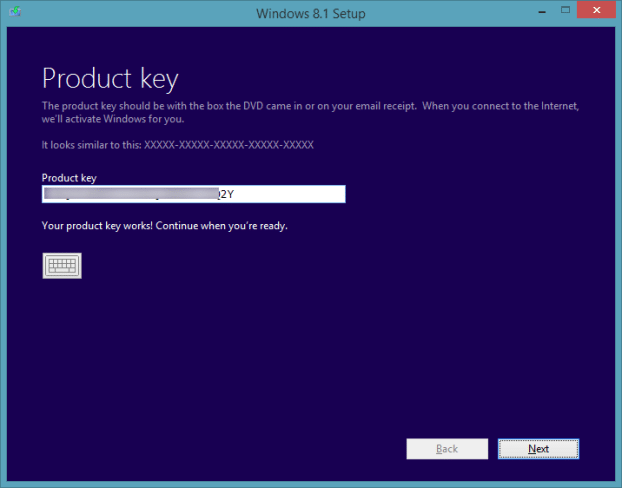 5) Click Change Product Key and give it your Windows 8 key. It should activate fine now. 6) At this point if you have your Windows 8 MCE key you can use that now as well but you must use it second. It will reboot to re-enable your MCE functions again. 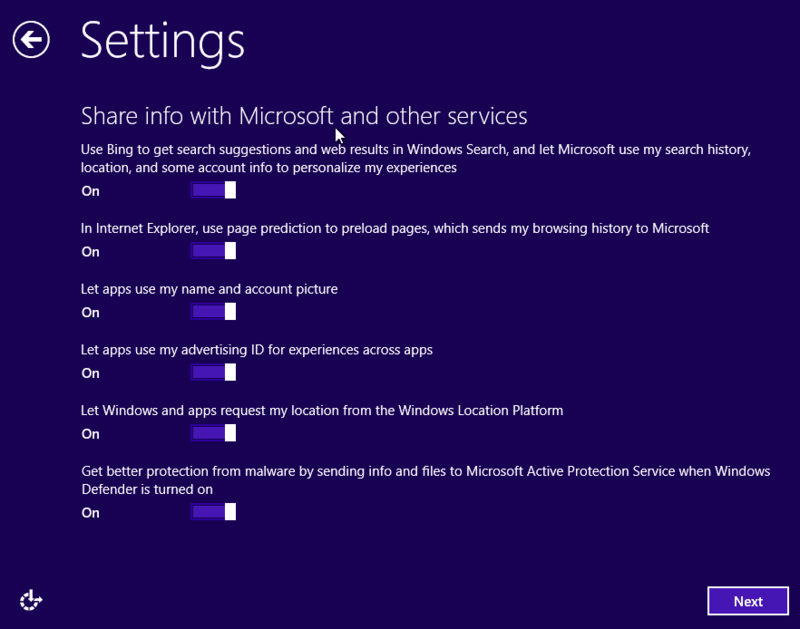 7) Check for missing drivers and any 3rd party software you might have to reinstall. Will this work going from Windows 8 RTM to Windows 8.1 RTM as well?